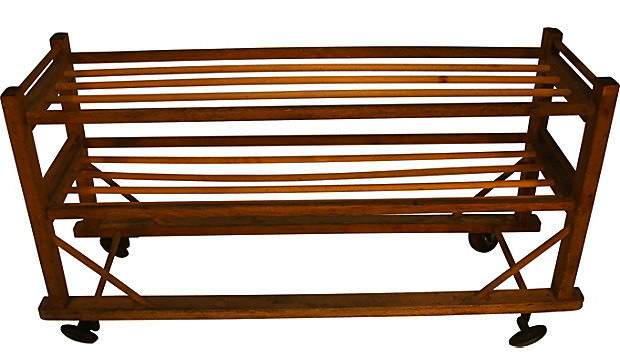 Georgia's Home Inspirations: Vintage Shoe Racks! Well, it's January and for many of us that means snow, ice, dirty slush and salt. This further means coats, hats, scarves, mittens, boots, drippy shoes and wet paws. My sad, tiny laundry room just can't stand up to the onslaught. At no other time do I wish more for a sleek, functional mud room. Over the years, I have managed to make a few improvements to the space - my top loading machines are now front loaders to allow for a counter top, wire shelving has been replaced with cabinetry and I have a great vintage accordion coat rack (which is sadly not visible in winter thanks to all the coats, hats and scarves). The big problem, though, has been corralling all of the boots, shoes and sneakers that litter the floor. So imagine my delight when I stumbled upon vintage shoe racks from early 20th century shoe factories while shopping for Georgia's. In a word - awesome! These racks ranged from single to multi-tiered. Some were on vintage saucer wheels and all had great utilitarian style and patina. 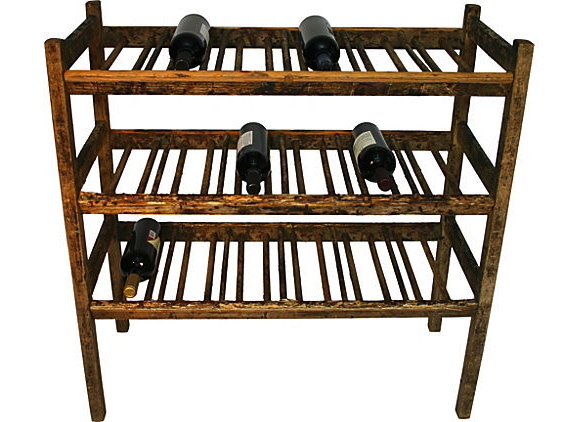 We bought several for Georgia's including a boot rack that can be repurposed as a wine rack. These racks would also work well for magazines, books, and games. I love the idea of fitting them with baskets as well. Luckily, one was small enough to fit into my laundry room. Problem solved in vintage style! Georgia's is expanding! These racks and more will be available on Etsy soon. In the meantime, follow us on facebook and we will let you know when we have items up for sale on One Kings Lane. 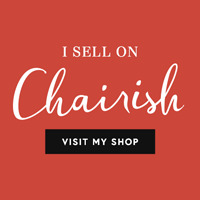 Consider signing up for this site; their vintage and market finds are inspiring! We hope your new year is off to a great start!